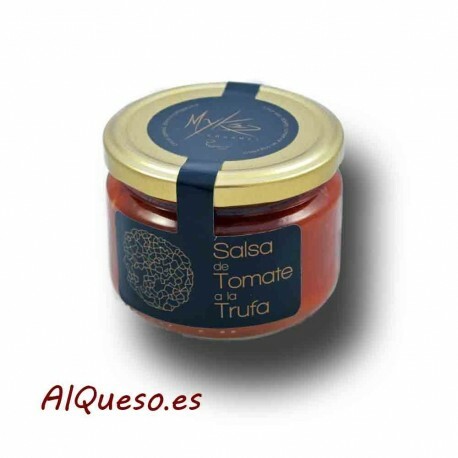 Tomato sauce with truffles to accompany and give a delightful touch to soft or semicured cheese. It is also ideal for creating a gourmet experience with other products such as pasta, rice, pizza or just for accompanying meat and fish. It is produced by Mykes Gourmet house in the region of truffles, in Soria. It's served in glass jars of 185 g.
Tomato sauce is a universal complement for gastronomy. Due to its versatility of use, tomato sauce is present both in domestic and international cuisine. Mykes Gourmet house produces this variety in which a rich sauce is produced with hand-picked tomatoes to which regional truffles are incorporated. A delicious addition that makes a gastronomic delight out of this tomato sauce. 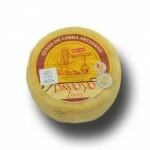 We recommend trying it with one of its cheeses or to create a small skewer with cheese and the sauce. You'll see that the snack will turn out to be delicious. Of course, tomato sauce is so versatile that besides accompanying cheese, it's good to accompany any product. You will create pasta dishes with a truffle touch, which will make them different, as well as rice, pizza, lasagna, meat, fish, and a lot more. Make sure you try this gourmet treat, buy it now on Al Queso.